Rome, the previous Caput Mundi (capital of the world), is an overload for your senses. The whizzing of a vespa, the intertwining of Italian with a hundred different languages, the smell of Pizza, the ancient ruins. The city is ridden with all-things-grand! From the pretty piazzas that end in colossal monuments, to ancient Roman forums that stand juxtaposing Baroque churches…Rome is a journey back in time. 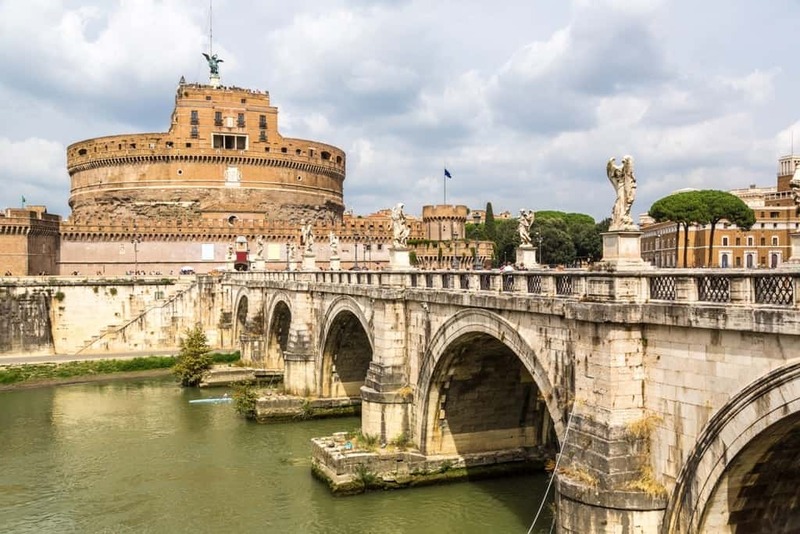 Spending five days in Rome is enough to make you relish in this splendid open-air museum, and being there I couldn’t help but be transported to different eras with every masterpiece I encountered. 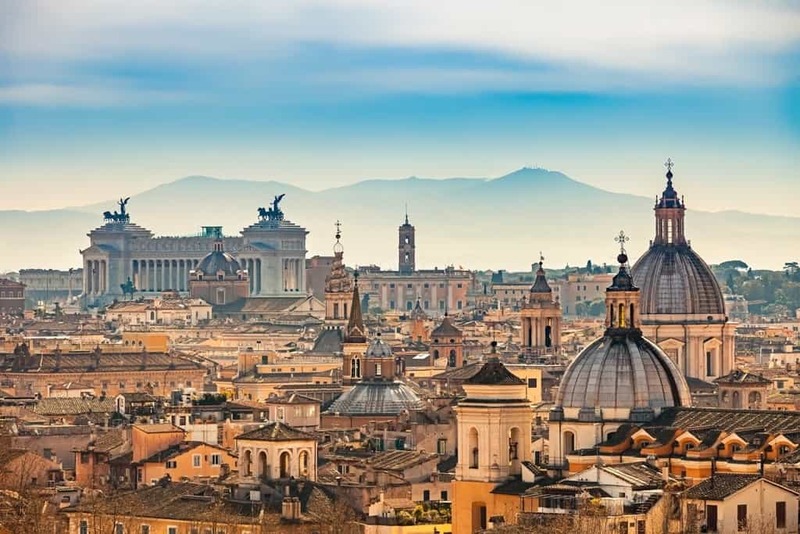 Dotted with treasures, with history, myth and legend – Rome is a city unlike any other. 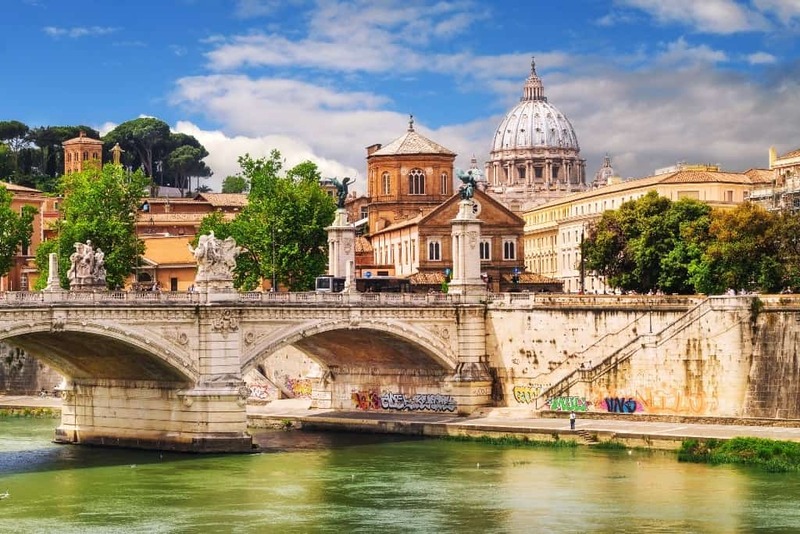 Having five days to spend in Rome is a great way to get a taste of the city’s mysteries and glamour! Here’s how to fit all the major attractions in five days. Rome has two airports, Fiumicino and Ciampino. Fiumicino airport is only 26 km away from Rome. The Leonardo Express is a direct train that connects Fiumicino airport and Termini Station in Rome in 30 minutes. Tickets costs 14 euros each way. Remember to validate your ticket in the machine before entering the train. Tickets are valid for 90 minutes. Regional FL1 Train connects the airport with other stations in Rome (not Termini) like Tiburtina. From there you can take the metro to the city centre. Tickets costs 8 euros. You will need another ticket for the metro (1,50 euros) Remember to validate your ticket in the machine before entering the train. Tickets are valid for 90 minutes. The cheapest way to travel between Fiumicino airport and the Rome’s city centre is by a shuttle bus that makes 2 stops in the centre (Termini Station and Piazza Cavour near the Vatican). Journey time 55 minutes depending on traffic. Tickets costs 6 € one way and you can buy them online. Book your shuttle bus from and to Fiumicino airport here. You will find taxi stands outside all the airport terminals. Always use the official taxi services and do not take offers from drivers inside the terminal. There is a fixed price of 48 € each way. The easiest and most comfortable way to get to the city centre is by a private transfer service like Welcome Pick Ups. It costs exactly the same as a regular taxi, only now you will have already prepaid for it, your driver will be waiting for you at the arrivals hall holding a sign with your name on it, a bottle of water and a city map. You will not have to worry at all about the language as all drivers speak English. There is a fixed price of 48 € each way. The cheapest way to travel between Ciampino airport and the Rome’s city center is by a shuttle bus that makes a stop to Termini Station. Journey time 40 minutes depending on traffic. Tickets cost 5 € one way and you can buy them online. Book your shuttle bus from and to Ciampino airport here. The easiest and most comfortable way to get to the city centre is by a private transfer service like Welcome Pick Ups. It costs exactly the same as a regular taxi, only now you will have already prepaid for it, your driver will be waiting for you at the arrivals hall holding a sign with your name on it, a bottle of water and a city map. You will not have to worry at all about the language as all drivers speak English. There is a fixed price of 44 € each way. 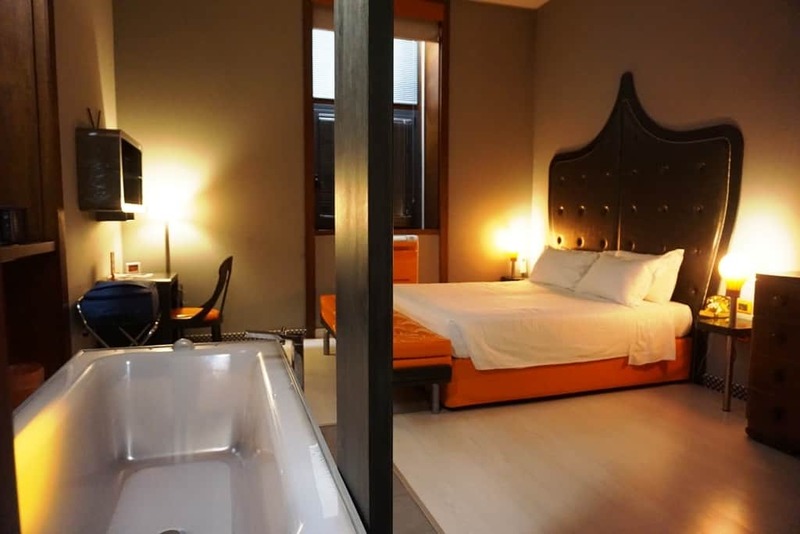 A hotel near the Vatican seems like something out of a dream or a Dan Brown book, but the Orange Hotel offers just that. Incredible design, proximity to the most major sites, and a very quintessential vibe that reflects Italian architecture. Our rooms were modern and spacious, the big bed had a very comfortable, new mattress that was exactly what we wanted after a full day exploring Rome. The bathroom was spotlessly clean with a walk in shower and a choice of toiletries. A breakfast buffet with Italian delicacies was served daily on the rooftop restaurant, that enjoys views of St Peter’s Basilica. The neighborhood was lovely with the Vatican and a metro stop just steps away. There was also a great choice of restaurants, bars, and shops nearby. 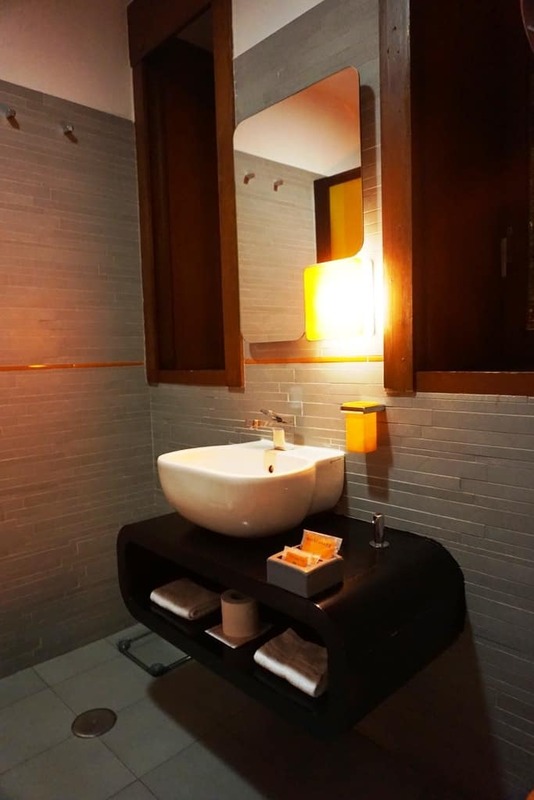 You could stay at Royal Rooms which is about 201m away from Via Margutta and enjoys all types of amenities – from shopping, nearby plazas, cafes and things to do, along with amenities like a bidet, shower, hairdresser and much more. 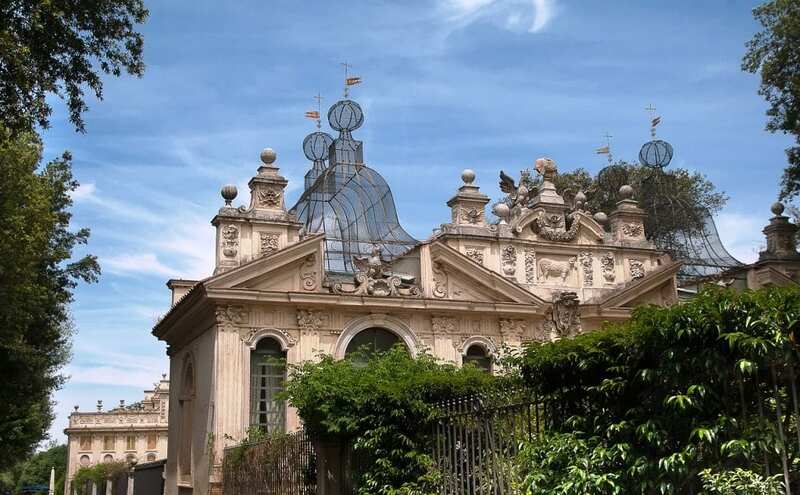 Located just outside Palazzo Medusa, this property is one of the best in Rome and is a lot of people’s top pick there. 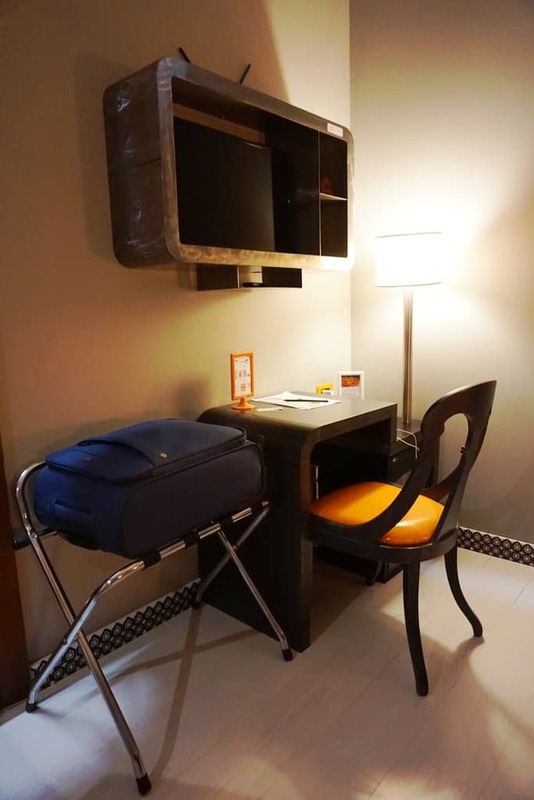 Not only do you get a large TV, bathroom, hairdryer and more, you also get to enjoy a wonderful gastronomic experience, bike rental, and super comfy beds! The thing about Navona is that it sells well and it sells fast. It’s an incredible choice for travelers – there is the food, the city walks around, and bike rental. 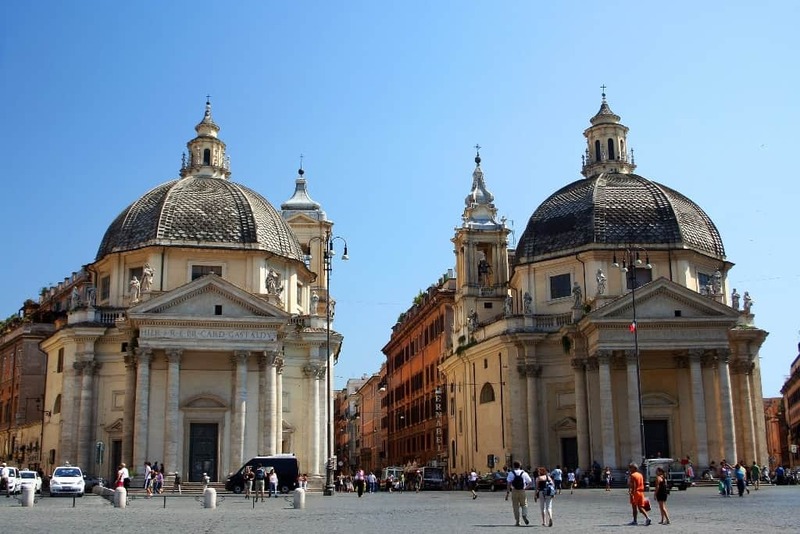 But there’s also the unbeatable location of being 192 m from Piazza Navona. You’ll thoroughly enjoy the Baroque architecture of the hotel. 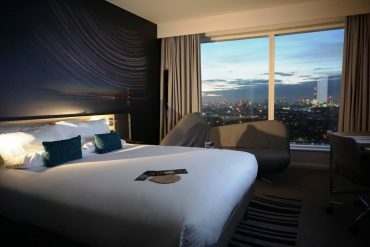 This is where comfort and slide go hand in hand, and the hotel itself has a hard to compete with location. 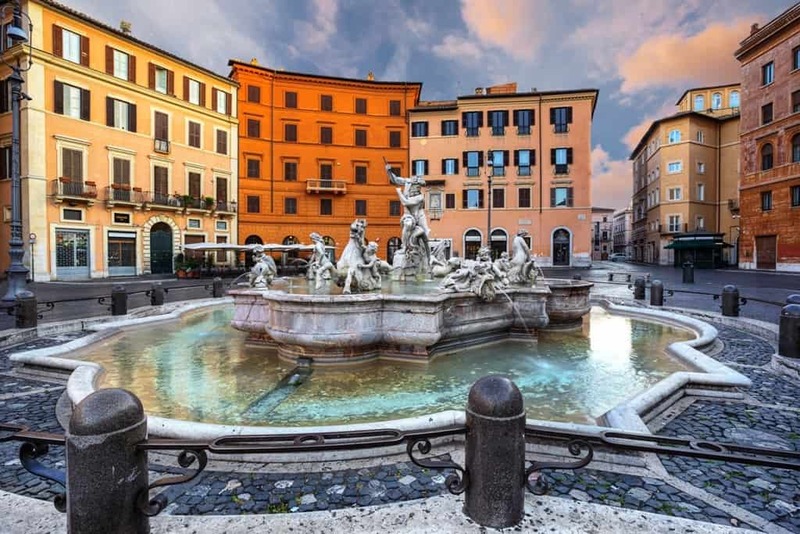 Located directly on the Piazza Navona, this hotel is a 5 minute walk away from history – the Pantheon… You’ll also enjoy free city views, free WI-FI, furnishings, and everything you need. Check out my post on the best areas to stay in Rome by a local. After arrival, I spent some time in my hotel settling, taking everything in and ready for all the sight-seeing I will be doing in the next days. I decided to make the Pantheon my first stop! The Roman Pantheon, the most complete and best preserved Roma building (and building in general) in the world is a sight to behold. The concrete structure is the largest in the world, and the building is simply wonderful. The concept of space, the architectural wonders (even Leonardo da Vinci studied it), and the interior all blend to create one of the most important monuments in Rome. Interestingly enough, on the walls, you can see the dates that reveal the age – a structure dating back to 125 A.D! Apart from the exterior, the interior itself is even more impressive. The Oculus inside is the only source of light, and you’re advised to stay silent, so the play of lights, architecture, the dome and the designs inside along with the silence made this experience so much better. Opening hours: Mon – Sat: 9 am – 6.30 pm and Sun: 9 am –1 pm. 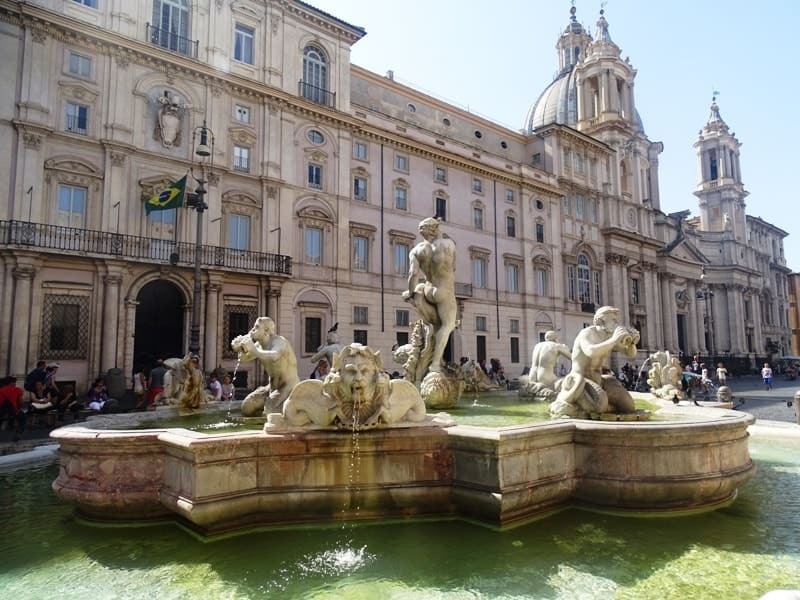 I then headed to the famous Piazza Navona, lined with Baroque palaces, shops, cafes and lavish fountains. What I love about Rome is the fact that everything still looks the same way it did when it first got built, and the piazza has remained unchanged from the 17th century! Originally a circus, the piazza was a lively place to be filled with energy, tourists, and street artists! I walked around the Bernini Fontana dei Quattro Fiumi, a fountain that has an Egyptian obelisk as a masterpiece, and then took pictures of Fontana del Moro and Fontana del Nettuno. After being in Piazza Navona, I went over to Campo Fiori, by far the city’s liveliest plaza ringed with a medieval castle and a bustling market. The plaza is noisy, colorful and vibrating with life and the market is a true reflection of Roman life with fresh veggies and nice drinks. At night, the plaza turns into an open-air bar with hundreds of people drinking in the streets from the bars that line the plaza. 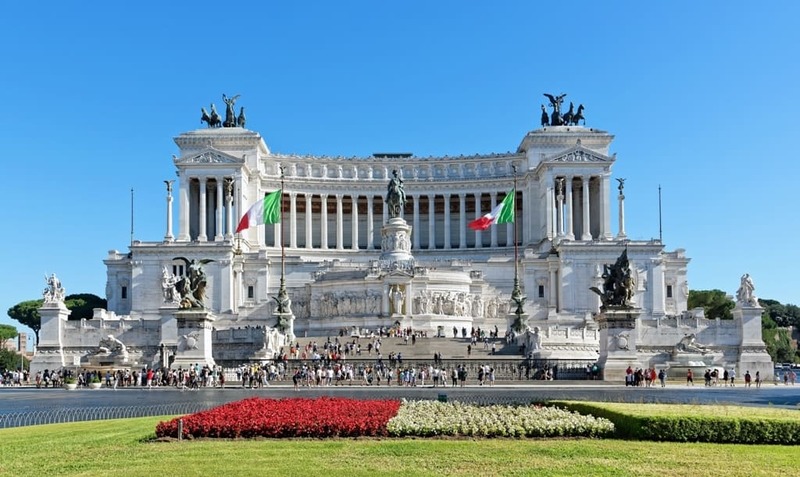 I started my second day in the Piazza Venezia, the geographic heart of the city with proximity to some of the most important attractions. There’s plenty to see there, from palaces, shopping streets, fun restaurants and even a hill! Passing by this remarkably large building, I couldn’t help but explore. White-washed with marbles, and showcasing medieval architecture – this building was built to honor the unification of Italy. What struck me at first was the contrasting white marble with the surrounding brown-colored, normal buildings. 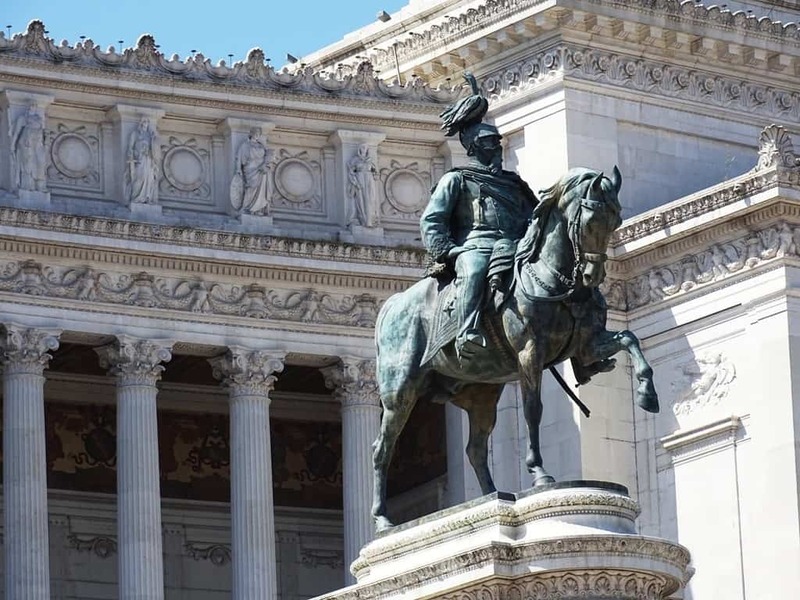 It just completely stood out, and entering it I couldn’t help but be amazed at the statues, columns, the grand stairways and of course the statue of the horseman. 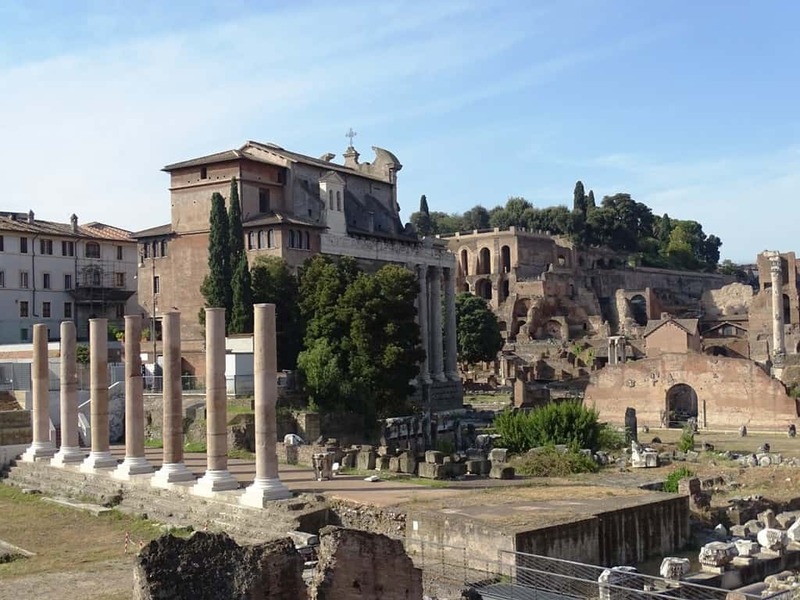 My exploration of Ancient Rome started at the Roman Forum. It was time for me to fully and completely immerse myself in the grandeur of what once was one of the most important cities in the world. Very few sites I’ve been to were so drenched in history and dripping with stories. 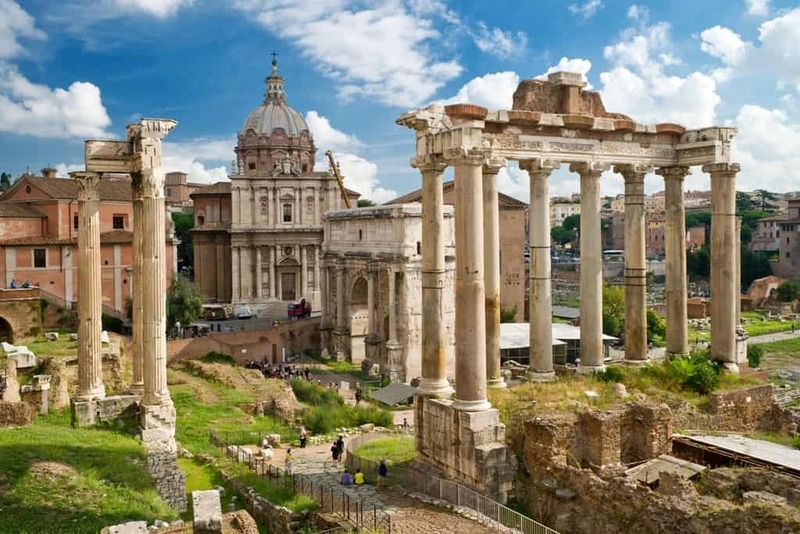 The Roman Forum was once the greatest sight in all of Europe, the center of the Roman Empire, and Rome’s pulsating hub where life ebbed and flowed. It was once dotted with temples, palaces, shops, stalls and much more from the Empire. Today, the site is still filled with history, and I was able to get a glimpse into the past grandeur of this place. There was an abundance of things to see; from triumphal arches, remains of buildings, and temples. 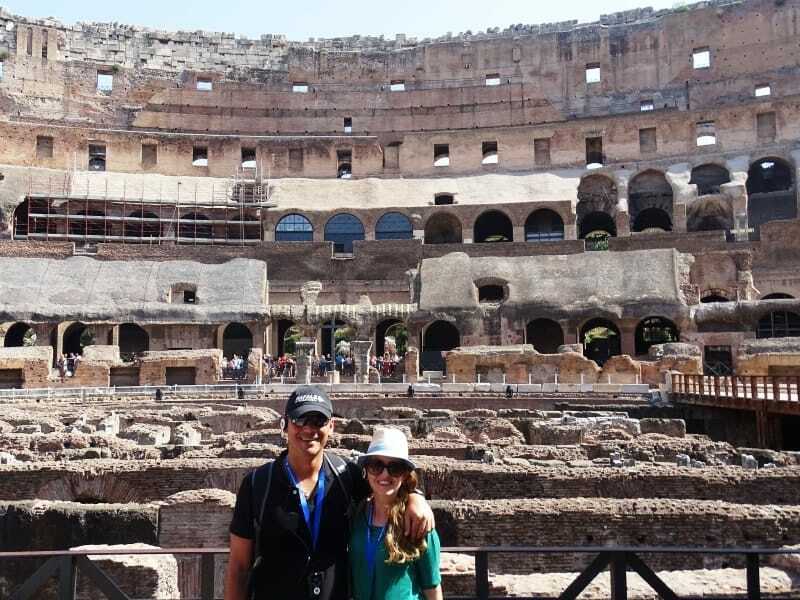 I then arrived at the most important attraction in all of Italy…The Colosseum…The personification of majesty, grandiose, and splendor of the Ancient world. The monument was awe-inspiring, enormous and you could feel the history in every nook and cranny of the Flavian Amphitheatre. Of course, it’s as symbolic to Rome as the Eiffel Tower is symbolic to Paris, and the monument perfectly juxtaposes gore and glory together. You’ll find a structure that has survived earthquakes, fires, riots, and wars and still sands proudly, showcasing survival and lavishness! 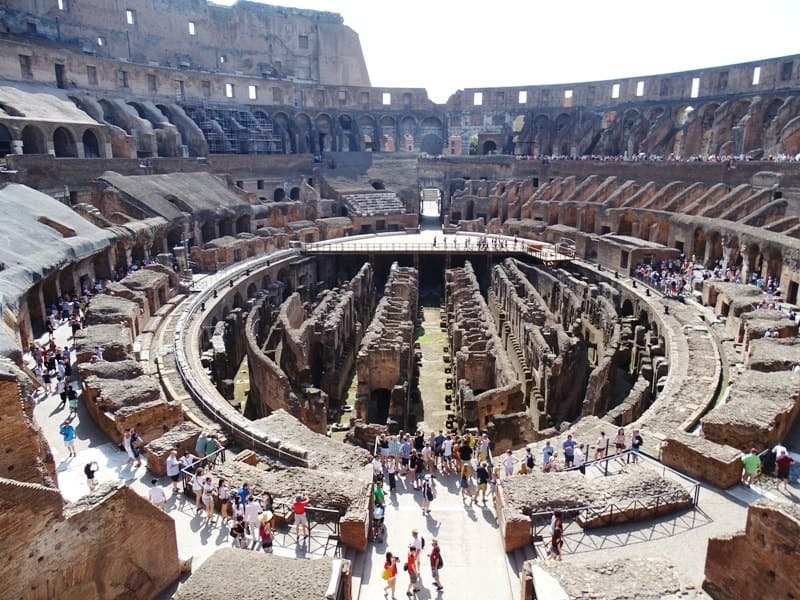 2000 years worth of history are perched in the Colosseum, and exploring the structure, the second floor, the passageways and the arena is a wonderful experience. Pine and olive trees frame the place, wildflowers grow amongst ancient ruins, and a whole other world is there for you, begging to be explored. I walked through some of the most ancient remains; a placed riddled with myths, beautiful views, and lush greenery. It was the most extravagant place in the world for a while, where emperors fought to live there, where palaces were built to compete with each other and where the place was the most desirable place to live in. 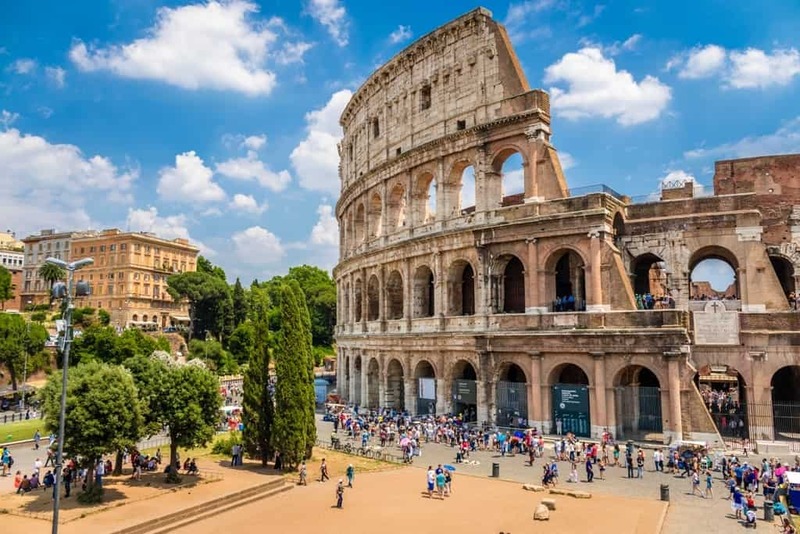 Tip: The Roman Forum, the Colosseum, and Palatine Hill were incredible places to visit, and the most important monuments in Rome, so needless to say, the lines were massive. Luckily, we bought skip the line tickets that helped make our tour so much easier and convenient. 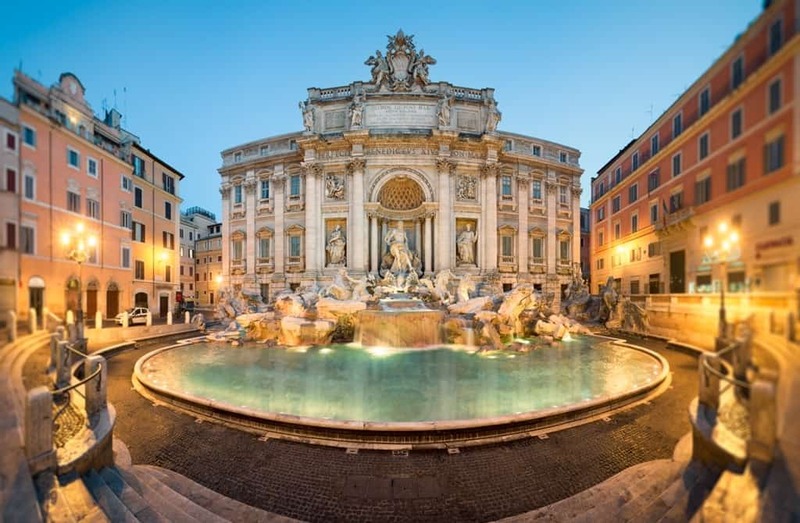 Now Rome is known for its extensive collections of art, museums, and galleries. In every corner, there were displays of art in museums, piazzas, churches and even in plazas. 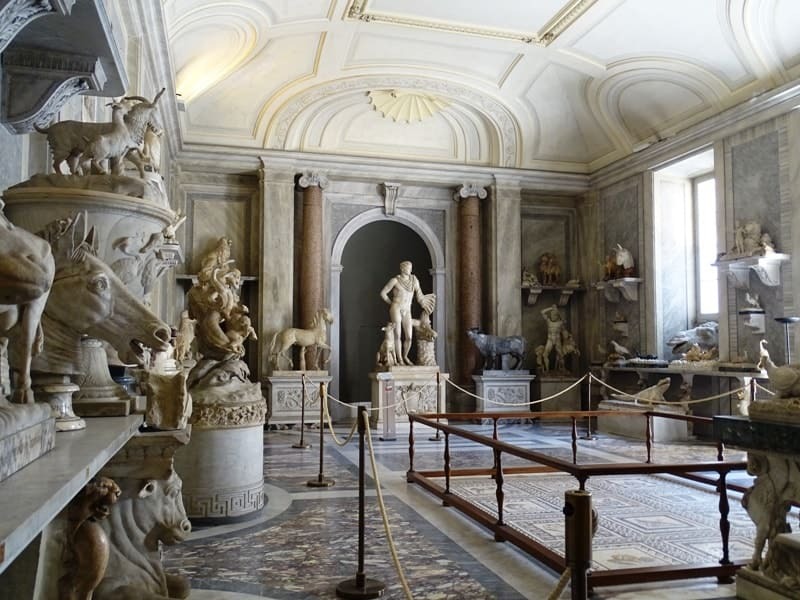 The Galleria Borghese is one of the greatest museums in Italy, with one of the world’s largest private art collection. The villa that the museum is housed in was used for entertainment and now is used to display the art collection. I loved that you could see major works by artists like Bernini, Titian, Caravaggio, Raphael, Correggio, Rubens, and Canova, while also admiring the incredible works of marble, the statues, and the Renaissance gallery. I bought skip the line tickets that made the entire ordeal much easier since the lines were discouraging! Find here more information about the Skip the Line: Borghese Gallery and Gardens Half-Day Tour. After exploring the gallery, I spent some time amongst beautiful flowerbeds, fountains, and temples in Rome’s largest park – Villa Borghese. Piazza di Spagna is one of the most renowned plazas in all of Rome, with the iconic golden hues of Spain perched in the middle of Italy. Fountains, the iconic steps and a bustling vibe all give this square its personality. 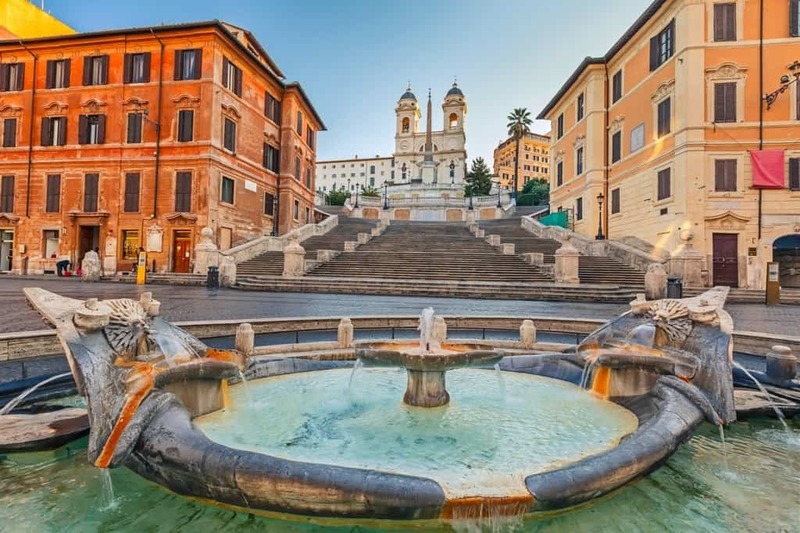 In the center of the piazza was the Fontana della Barcaccia, and the plaza itself was rushing with life, tourists from every corner in the world, and people sitting along the Spanish Steps. The Spanish Steps are actually the most enchanting in all of Europe and are considered one of the most renowned staircases on the continent. The plaza is ringed with azaleas, stalls, street performers, photographers and sellers everywhere! I had to elbow my way through the crowds to get to the gorgeously illuminated Fontana di Trevi. The true epitome of magic and fantasy – an attraction straight out of a storybook fairytale. 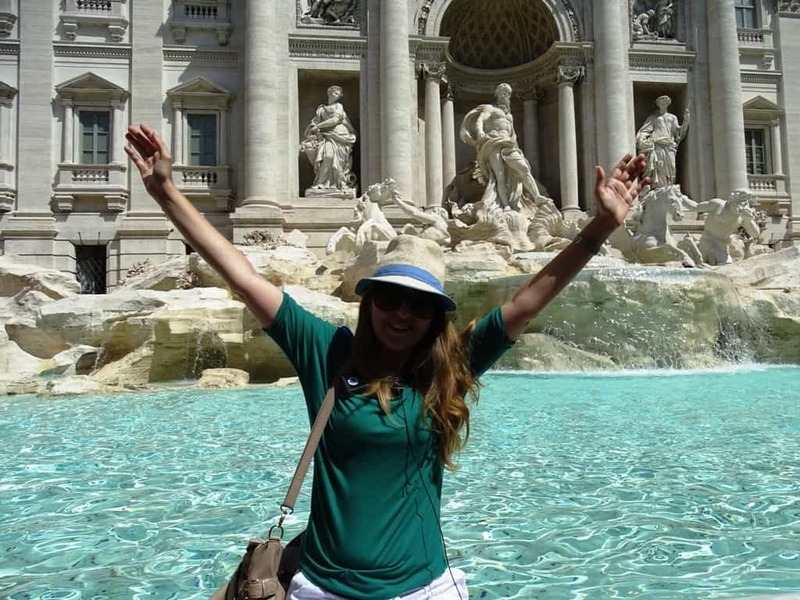 The Trevi Fountain is an iconic sight in Rome, and it was even more awe-inspiring to see it in real life. Great examples of Baroque art, the sea-god Neptune, winged horses, and allegorical figures all give this fountain the ethereal vibe it permeates. Of course, thousands of tourists were crowding over the monument to take a picture and for a good reason! This is where you come to toss one coin so you can come back again to Rome, according to legend. If you want romance, toss two, and if you want to marry your partner, toss three! After a long day of exploring some of Rome’s most important attractions, it was time for me to shop at the Via Veneto. The classic boulevard boasts some of the best shops in Rome, along with lively bars and vintage shops. There was an array of handbags, accessories, antiques and much more. The shopping doesn’t end there! The longest street in Rome is dotted with high-street stores, designer shops, boutiques, and an array of international brands. Not much of an authentic Roman shopping experience, but an authentic one nonetheless. 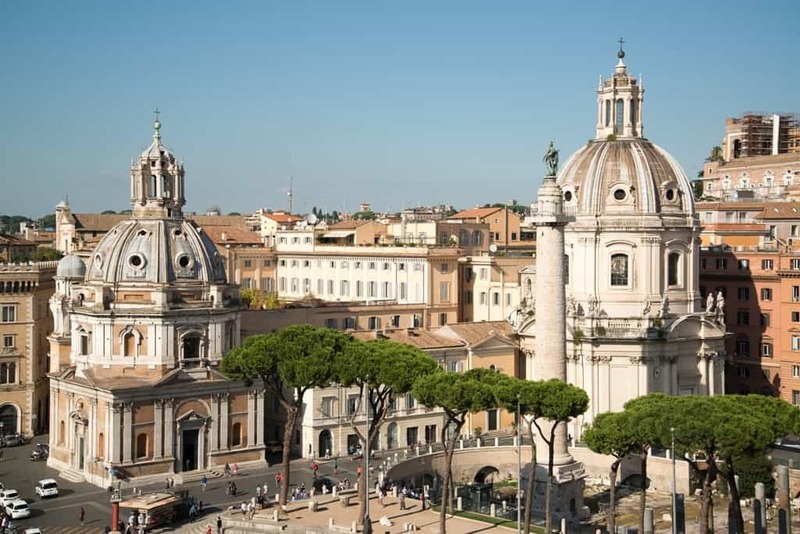 You can also do a little bit of sight-seeing as you walk the street with the Piazza Venezia and Piazza del Popolo. My fourth day was one of the most life-changing experiences to be had. Vatican City, the Holy See and the smallest country in the world, this place is nothing short of magical, and holy. 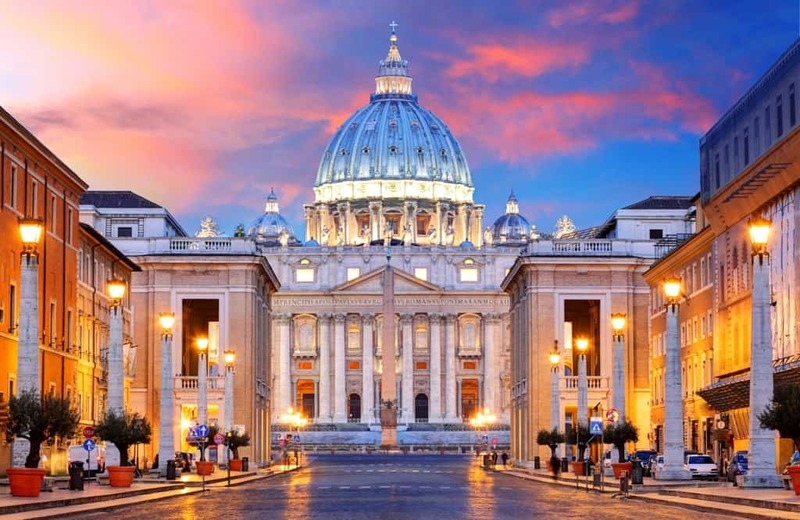 An unparalleled spiritual discovery, the Vatican is dotted with holy buildings, lavishly-decorated churches, galleries, and gardens. 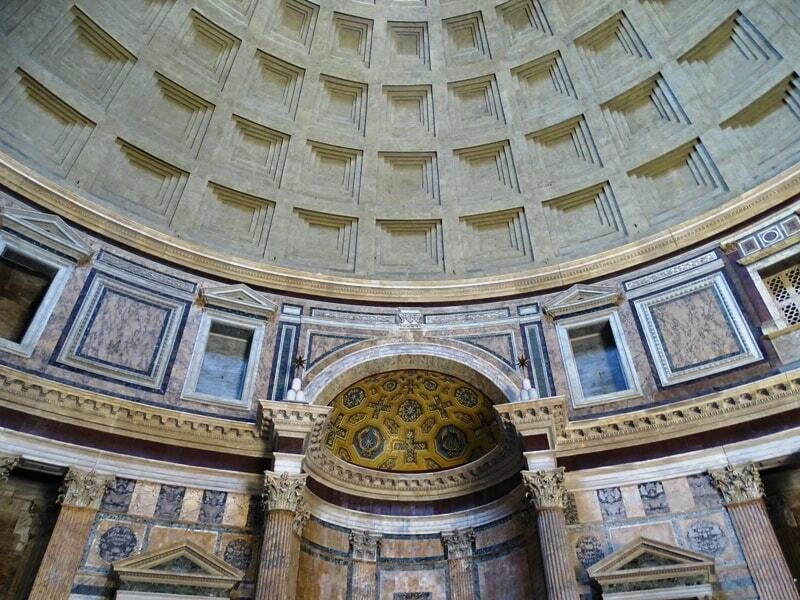 Tip: Visiting there is an essential Rome experience, and it will be quite overwhelming! Before anything, you should know that the queues are huge. No matter how much you think you can wait, you can’t. The queues go on for seemingly forever, so I recommend a skip a line tour or an 8-am skip-the-line tour. Both times I’ve been there were with the skip the line guided tour, and it added to the overall comfort and convenience of my entire visit there. If you’re not really into tours, you can wander on your own and skip the lines. 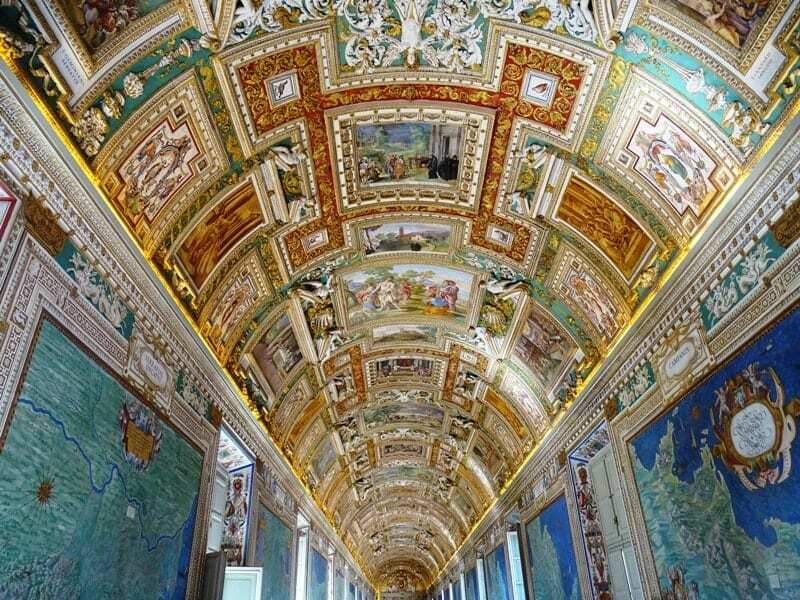 No museum in the world compares to the Vatican Museum. It is simply without any doubt, the most beautiful museum in the world. Countless masterpieces are housed in this building, along with paintings and sculptures. The largest museum complex in the world is almost impossible to explore in one day. There are over 1,400 rooms filled to the brim with priceless art that dates back 3,000 years. Think Egyptian mummies, classical sculptures, tapestries, canvases and everything ranging from Renaissance art to detailed frescoes. You could also check out the Hall of the Maps showing you some of the most important lands and their old maps. The Pinacoteca Vaticana and the Stanze di Raffaello are also definitely worth checking out. Opening hours: Monday – Saturday: 9am – 6pm (Ticket office closes at 4pm). Tickets: Adults: 16€. Children (ages 6 – 18): 8€. Students (ages 19 – 26): 8€. The entrance is free the last Sunday of every month. The Vatican is ridden with superlative, and it doesn’t end at the museum. The St Peter’s Basilica is the largest church in the world with some of the most lavishly decorated interiors in the world. It’s a celebrated edifice, with unparalleled size and opulence, and is an unforgettable experience in general. 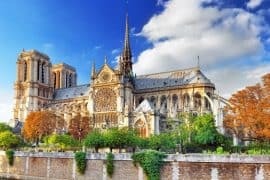 You can check out the breathtaking interior, or La Pieta, the moving sculpture of the Madonna, or the main basilica halls. There are tombs to discover, colored windows, and golden angels! After exploring the Basilica, you can reach the dome (either through an elevator or a 320-step climb), and get rewarded with the most breath-taking, gasp-deserving views in Rome. 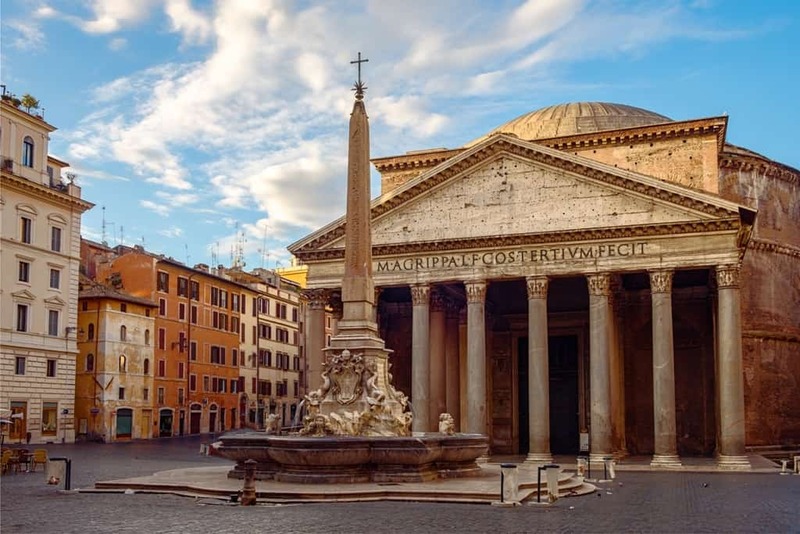 You’ll get panoramas of Rome, the buildings, the winding alleys, the plazas…This is when you realize the true grandeur you’re surrounded with. Opening hours: The dome opens at 8am and closes one hour before the Basilica. Tickets: Lift to the terrace plus 320 steps: 8€. Climbing 551 steps by foot: 6€. Enter through a stone ramp and check out the Castle that dates back to Roman Times to the year 135! You can explore the mausoleum, the prison, and warehouses, or the upper terrace with unparalleled views! The great thing about the fifth day is the flexibility you have. You’ll be done exploring the main attractions of Rome, and it would be the perfect time to explore your options. 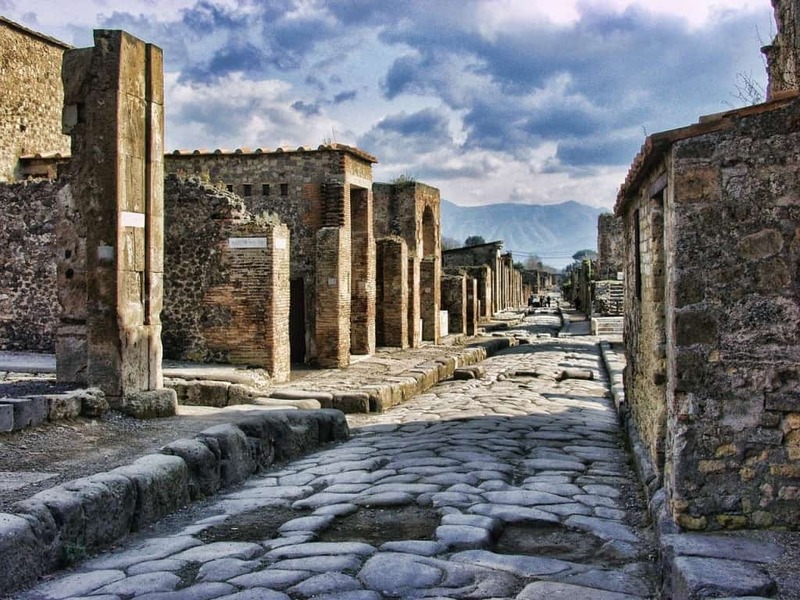 You can have a day trip to Pompeii where you get to explore the mountains, the volcanic crater, get gorgeous views of the Bay of Naples, and travel back in time to explore the lost city of Pompeii. The city is filled with ruins; frescoes, winding streets and much more that are surprisingly very well preserved. The place there takes a full day to see. You can also have a food tour if you’re more of a foodie and want to experience the delicious Italian cuisine. 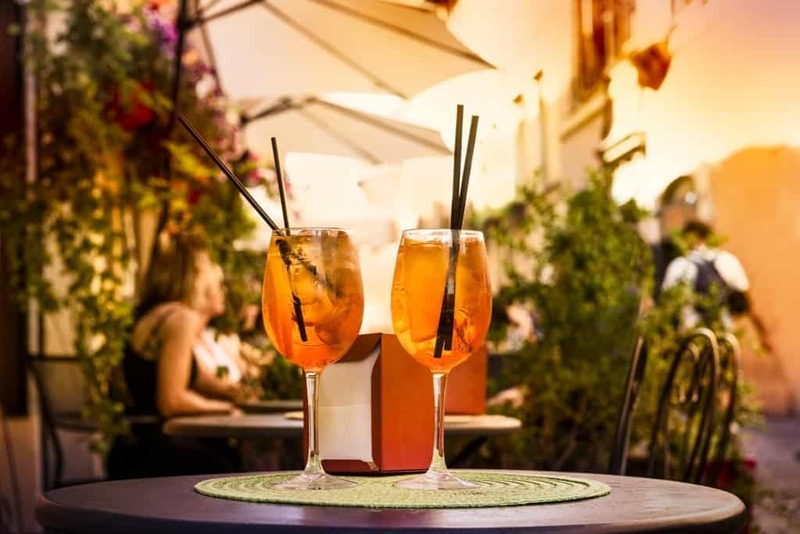 It’s practically walking tour where you taste different wines and tours around Rome! 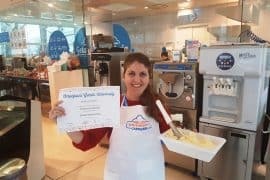 If you want to learn how to make that delicious food so you can take and utilize your skills back home, then definitely go to a pasta making class! 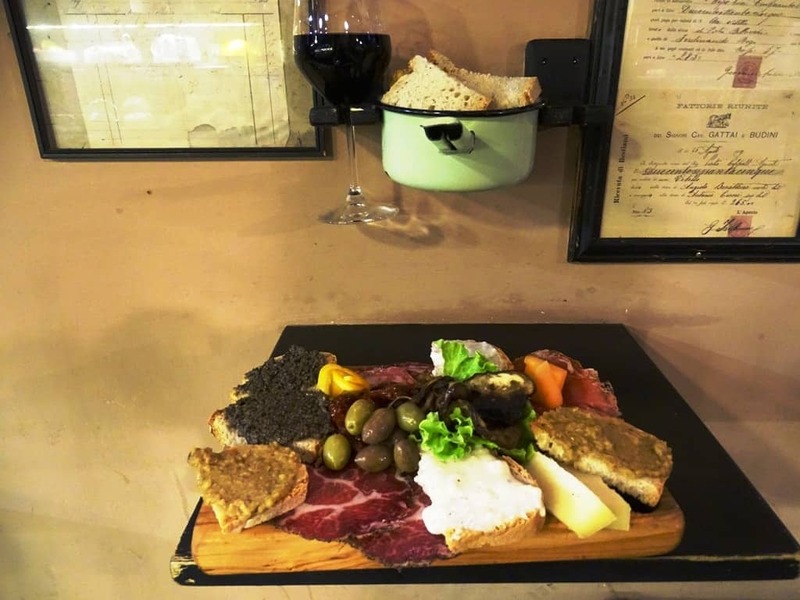 Of course, it’s no secret that Rome offers one of the best gastronomic experiences in the world. Who doesn’t love Italian food with all its flavors and diversity? 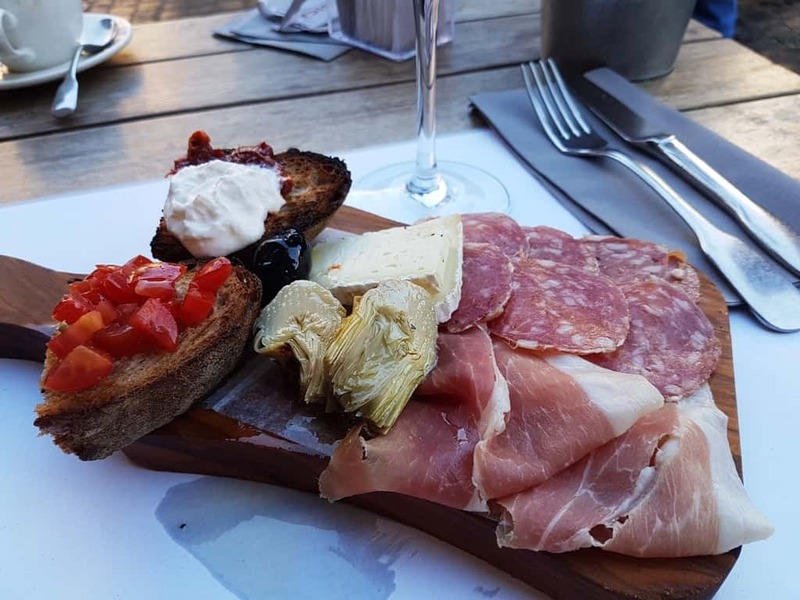 You can experience the Italian food on every street, and in every back alley and neighborhood, but you can also choose some of the best! This is one of the best places to eat in, in Rome and is renowned for the incredible food and wine. It’s a small place, very cozy, with incredible staff and it just around the corner from the Trevi fountain! This is where you go to have a quintessential Italian food experience! This modern mozzarella place gives you authentically delicious Roman pizza, has a great breakfast, fresh food, and decent portions. A restaurant that dates back to 1842, this place has managed to keep its wooden bars, its authenticity, and its interior! Very close to the Spanish Steps, the restaurant has great food like soups, pasts, polenta, and pizza and it’s not at all overly priced. If you want the best pizza in town, this is where to go! Delicious, warm pizza in a gorgeous, cozy environment, and it’s definitely worth the wait for the legendary pizza. 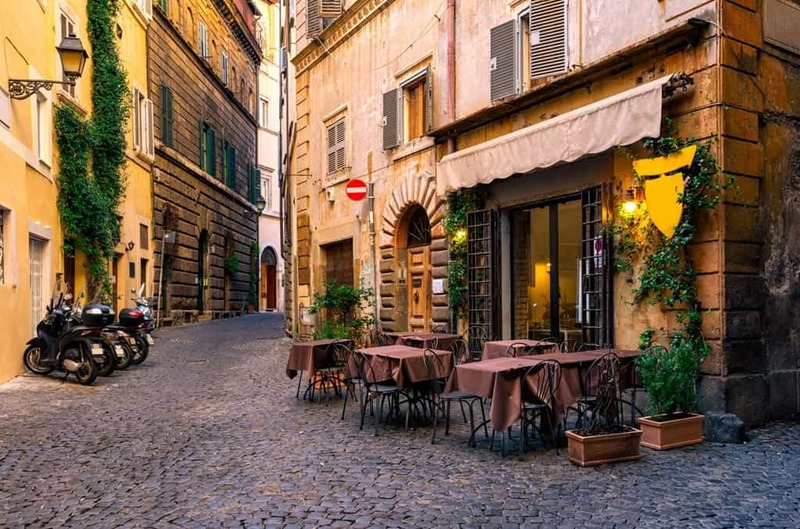 Rome is known for its bustling café culture, and this is simply one of the best there. Great coffee, a great location next to the Pantheon, a cozy atmosphere, and unique coffee combinations! You can’t really go to Rome without trying the renowned gelato! This place has been offering the best gelato since the early 90’s, with different flavors and a quirky exterior. You can also check out my post: What to eat in Rome. Overall, Rome was an overwhelmingly beautiful experience. There was so much to do, and getting bored or tired of the sites is almost impossible. 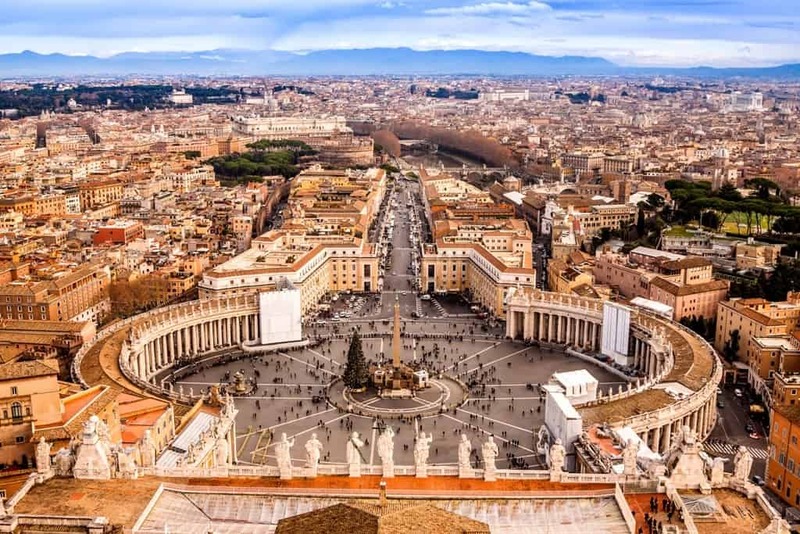 From the ancient attractions like the Pantheon, the Roman Forum, and the Colosseum, to the gorgeous Vatican city dripping with spirituality and art, to the bustling plazas and shopping streets. My most important advice to you would be getting a skip the line ticket pre-booked. Nothing really prepares you for the harrowingly long queues except booking in advance and getting a skip the line ticket. This itinerary would not have been possible without it, and each attraction would have taken an entire day to get there. 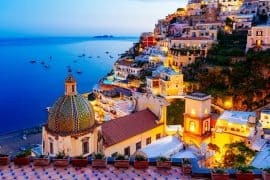 So revel in the culture, visit the museums, immerse yourself in the churches, walk the streets, sit on the steps and live the quintessential Italian life! Tip: Never travel to Italy without a travel insurance. Get a free quote today. Your photos are beautiful. I love the editing. What kind of software did you use. Also your notes and itinerary for Rome was perfect. I was in Rome last year and had a wonderful time. Thank you very much. Some are mine some are bought from Shutterstock. I am really pleased with your itinerary! May I know where you bought the tickets for the places you went? Thank you very much, Al. I bought my tickets online a month in advance. The lines are huge in most attractions so I suggest a skip the line ticket bought a few days earlier. Rome is definitely walkable. Where are you staying? If you stay at the center you can walk everywhere otherwise you can also take the metro which is extremely easy to navigate. No need to take a taxi at all. Beware with taxis though you cannot hail a taxi you can take it from a stand and always be careful to take the official ones. Thanks for your prompt response. Another question.. We are visiting for 5 days just like you… Do you recommend any day trips from Rome..
You are welcome. As a day trip, I recommend Pompei. Alternatively, you can get a glimpse of Florence too. It is close by highspeed train. I would choose Pompei though. My son is planning his first trip to Italy. He wants to focus on Rome, Pompei, and Florence. 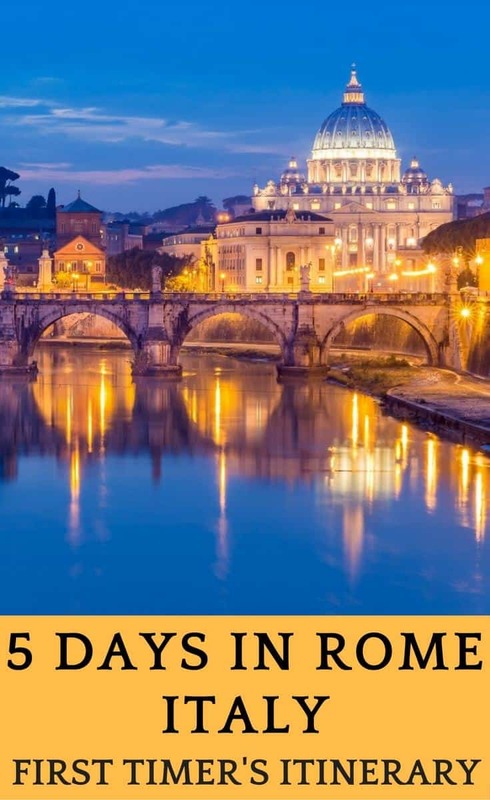 Love the 5-day for Rome. Do you have similar recommendations for Florence? Thanks. Thanks Scott. I haven’t written a detailed post only for Florence yet but I think this post will help him https://travelpassionate.com/italy-itinerary-10-days/ let me know if you have any questions. 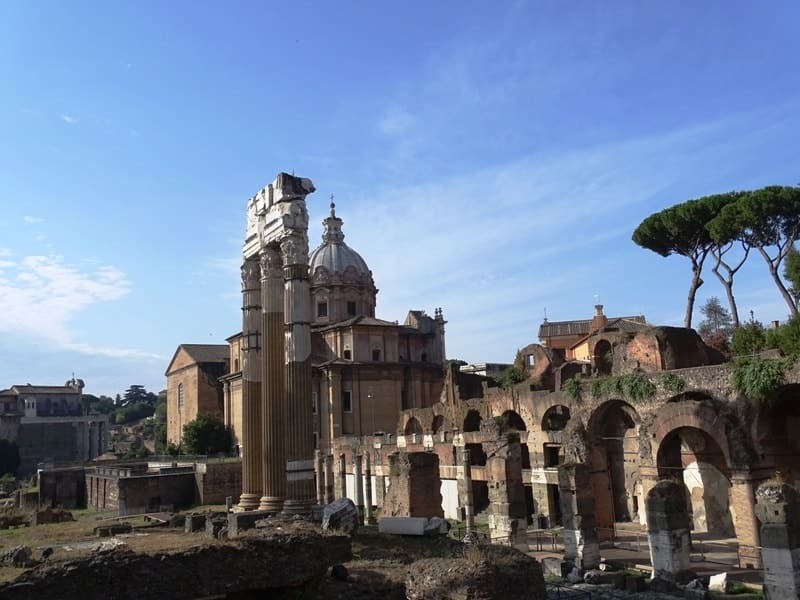 Was glad to have found this website after looking for sample itineraries in Rome. Very disappointed to discover this article seems to be a sort of advertisement for all sorts of getyourguide tours. Practically all the links lead to their web page where they sell all kinds of tours. It is ok to sell tours but that should also be mentioned explicitly so as not to mislead readers. Thank you for your message. 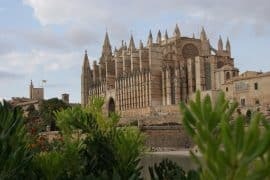 I am recommending some tours from Get Your Guide as I use them myself. I highly recommend that you book a guided tour or skip the line tickets when visiting Rome. You don’t have to do it from my site or Get Your Guide though. I have a disclaimer at the end of the post but you are right it is not very visible so I am going to move it at the top. I have no intention to mislead anyone and I am sorry if I made you feel this way. Enjoy your trip to Rome it is a beautiful city. A trip to Rome is all I ever need this year. I’m thinking of filing a leave, but I remembered that I don’t have anyone to be with me on that trip. Rome is a great city for a solo trip as well. I was on my own the first time I visited too. Thank you. You need to wake up very early in the morning in order to take photos without people. Some of these are not mine though.